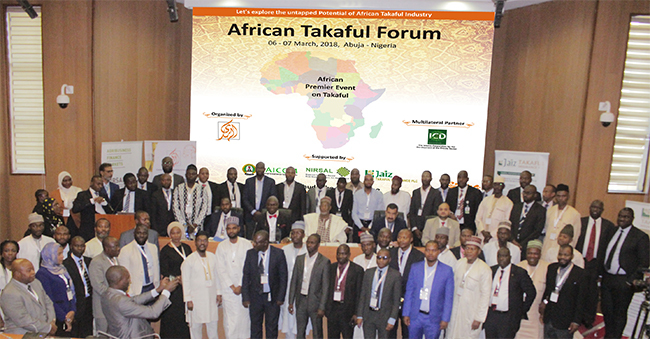 (March 15, 2018 (Dubai)): AlHuda Centre of Islamic Banking and Economics successfully organized African Takaful Forum at NIRSAL Abuja – Nigeria on 06 – 07 March, 2018. This mega forum was supported by National Insurance Commission (NAICOM) Nigeria. Delegates from 17 countries took part in the forum in order to gain the knowledge and operational processes linked with Takaful. The three core objectives of this forum, which are knowledge for manpower, analysis of problems faced by Takaful operators in order to deepen financial inclusion and the provision of opportunities to collaborate with captains of the industry to build a solid platform for sharing experiences is apt and adequate to midwife our efforts as regulators of the insurance sector. The development and growth of Takaful is without doubt hinged on the above key issues. Takaful Awards were also given to the competent takaful and insurance companies at the end of the event. Mohammed Kari, Nigeria’s Commissioner for Insurance and Chief Executive Officer of the national insurance commission (NAICOM) appreciated the efforts of AlHuda CIBE and commended the CEO Muhammad Zubair Mughal and his team for achieving the feat within a very short and trying period. He congratulated the entire team of AlHuda CIBE for the drive and the commitment to promote Takaful around the globe. In his inaugural speech, he said that a cursory overview on the access to financial services in Nigeria indicates that there is a huge deficit in terms of financial inclusion. Statistical analysis indicates that Nigeria requires aggressive and strategic developmental efforts towards reaping the benefits of her abundant potentials. He added that NAICOM incepted a process for the establishment of a framework for the smooth development and take off of Takaful operations. 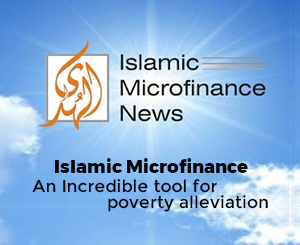 Thus, to achieve the objectives of the conceptualization of Takaful as a viable financial inclusion platform the Commission as part of its Regulatory initiatives developed Operational Guidelines for the regulation of Takaful businesses in 2013. He further said that he is optimistic that Takaful will in no distant time aid the penetration of insurance in Nigeria and subsequently lead to a substantial leap in the contribution of insurance to the nation’s Gross Domestic Product (GDP). Mr. Muh. Zubair Mughal, CEO, AlHuda CIBE thanked the chief guest, guests of honor, delegates and speakers for their time to attend this important event. He said that Nigeria being the largest economy, Takaful is emerging as an important tool for financial inclusion. It is the need of the hour to spread the knowledge of Takaful and its operations within the country and across the African region and beyond so that the people would learn it so well in order to adopt it instantly for the betterment of the community. The prospects and sustainability of the industry heavily depends on the ability of operators to develop the right products that suit the needs of the identified market, create adequate awareness to realize delivery of services and meeting expectations of the target customers. Takaful as an emerging industry is spreading across western, central Africa and all the countries are replicating the experience of Nigeria. Around 400 Takaful companies are operating across the globe and they are having 2% share in the global Islamic financial industry. Around 500 insurance companies are actively working in African region and takaful market is an emerging market all over the African region. We thank all the delegates who come from 17 countries and speakers line coming all the way from 10 different countries to share their knowledge and experience of Takaful industry. We hope that the forum helped spreading the voice that was much importantly need of the hour.